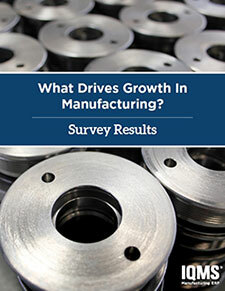 What drives growth for best-in-class manufacturers? Product quality and high service levels are the two main factors driving growth for United States manufacturers, according to a new survey of successful manufacturers. Product quality was identified as a leading measure of success by 92% of respondents. © Copyright 1998-2016, IQMS.com. All Rights Reserved.